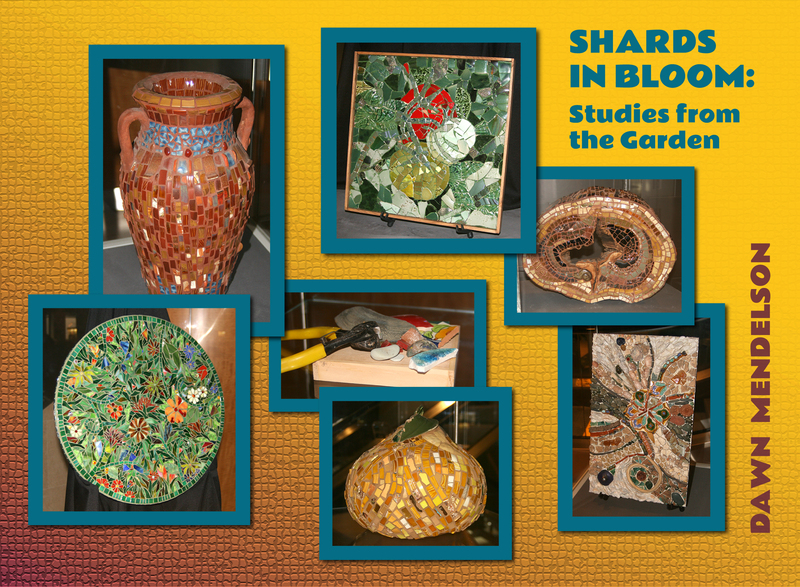 Dawn Mendelson’s exhibit, “Shards in Bloom: Studies from the Garden,” features pique assiette pieces using broken plates and other repurposed material in mosaic. 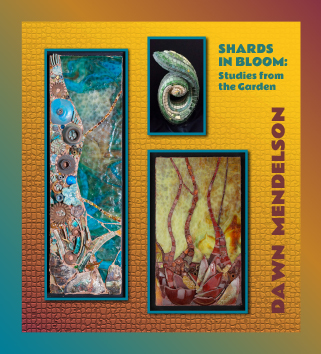 The exhibit features works she created using recycled elements, playing with shapes, colors and textures of nature, specifically in her own small garden. Click here to see samples on display. This special collection was created to showcase books that are beautifully designed and produced, using both traditional and unusual techniques. 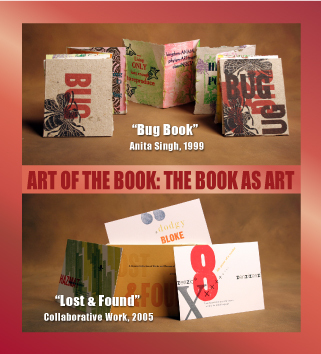 The efforts of both student and professional contemporary book artists are included, and the scope is international. Individual works are on display throughout the Library on a rotating basis. 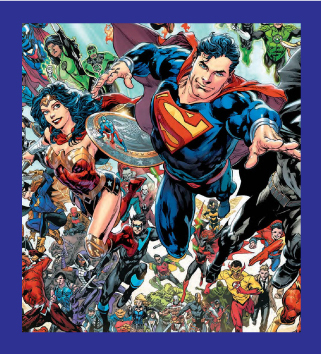 A collaborative display of superhero comics, animated cells, figures and drawings is currently featured coinciding with this year's summer reading program, "Superhero Training Academy: Find Your Reading Superpower!"